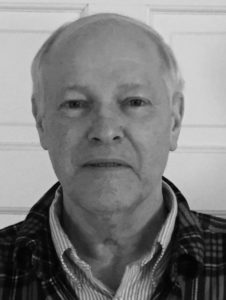 Nothing says basketball in the state of Maine quite like the great Stearns High School teams of the 1960s and 2017 MBHOF inductee Terry Carr was a big part of that run of greatness on the hardwood. From his Millinocket hoops days, Carr went on to the University of Maine and carved out a great college career in Orono as well. His senior year at Stearns will go down as one of the most memorable in Maine high school basketball history. Carr and his 1963 Minutemen played for legendary coach George Wentworth (MBHOF Class of 2014 went 18-0 and was the #1 seed in Class LL (now Class AA) during the regular season. It was the first of four straight 18-0 seasons for Stearns. But the postseason is what most basketball fans will remember most. An overtime win vs Rockland in the quarterfinal. A two point victory over Old Town in the semis and then a one point win over John Bapst to capture the Eastern Maine title. And then there was Stearns vs Morse…part one and part two. Part one was a thrilling double-overtime loss to the Shipbuilders, 61-60 in the state championship game. Part two took place at the old Boston Garden in the championship game of the New England Basketball Tournament. There was no Connecticut team that year and so both Morse and Stearns went to the New Englands. Carr and his Minutemen beat the Rhode Island champ 69-61. Carr pumped in 26 points. Then Stearns beat the Massachusetts champ, Cambridge, 62-58. Terry Carr led the boys from Millinocket with 28 points. And then it came down to Stearns and Morse for the New England championship. In front of 12,000 fans at Boston Garden, Terry scored 15 points to lead Stearns to a 56-54 win. A New England title and bragging rights over the Shipbuilders. Carr earned Bangor Daily News First Team All-Maine honors in 1963. From there it was on to play for the Black Bears (1964-65, 1965-66, 1966-67). Playing for coach Brian McCall, Terry became a 1,000 point scorer at UMaine. He led the team in scoring in both his junior (15 PPG) and senior (22 PPG) seasons. He was named All Yankee Conference both years, finishing fourth in conference scoring. Carr captained the UMaine in 1966-67. In 65 college games at Division I UMaine, Terry Carr scored 1,042 points. Terry and his wife, Linda (deceased) have four children.